Ideas & Inspiration Home › Posts › Sofas & Armchairs › Aussie-made for Aussie Tastes! Australia is a fantastic place. A place where people from all different cultures and walks of life come together to form a one-of-a-kind community built around mateship, acceptance and a can-do attitude. It should come as no surprise then that we’re deeply proud to have found our place in this Great Southern Land, where we’ve been fortunate enough to manufacture Australian-made sofas for over 24 years. It’s hard to believe a quarter of a century has passed since our humble beginnings at Sydney’s Parklea Markets in the late 1980s. Fast-forward to 2018 and you can find Fantastic Furniture stores all around the country, employing some 1000 everyday Australians. 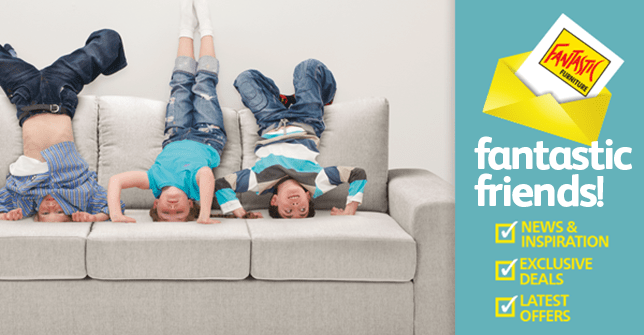 Visit any of our 78 stores and you’ll find the same familiar faces and happy-to-help personalities ready to put a smile on your face and a sofa on your living room floor. It’s thanks to our passionate and ever-growing team that we’re able to produce and deliver around 140,000 sofas to Australian homes each year, from our lounge factory in Sydney. We’re determined to provide all Australians access to quality, comfortable, Australian-made sofas at affordable prices. Today more than ever we know how important choice is to Australians; choice in how we spend our time and money to how we express ourselves – from what we wear to how we style our homes. That’s why we launched MyChoice. Now, Australians can personalise our Aussie-made sofas, ottomans and bedheads with a choice of over 100 fantastic fabrics. From throwing a Groove Orange spin on the groovy Café 2.5 Seater Sofa, to dialing up the jazz with a Premium Roundabout Green finish on the Jazz 2 Seater Sofa, there’s a style to suit every taste and budget. The choice is yours.